Each year my friends, Tim and Teresa Cleary invite two families to join them for Thanksgiving at their Elk Lake cabin, Chateau Relaxo. It’s a fun several days full of puzzles, games, occasional polar bear leap into the lake, hot tubbing, paint ball, movies & reading, an annual pumpkin toss and just catching up with each other. The Thanksgiving dinner is cooked by all of us, so it’s delicious. We share the cooking load. Teresa reminds me to ‘bring your calligraphy pens’. 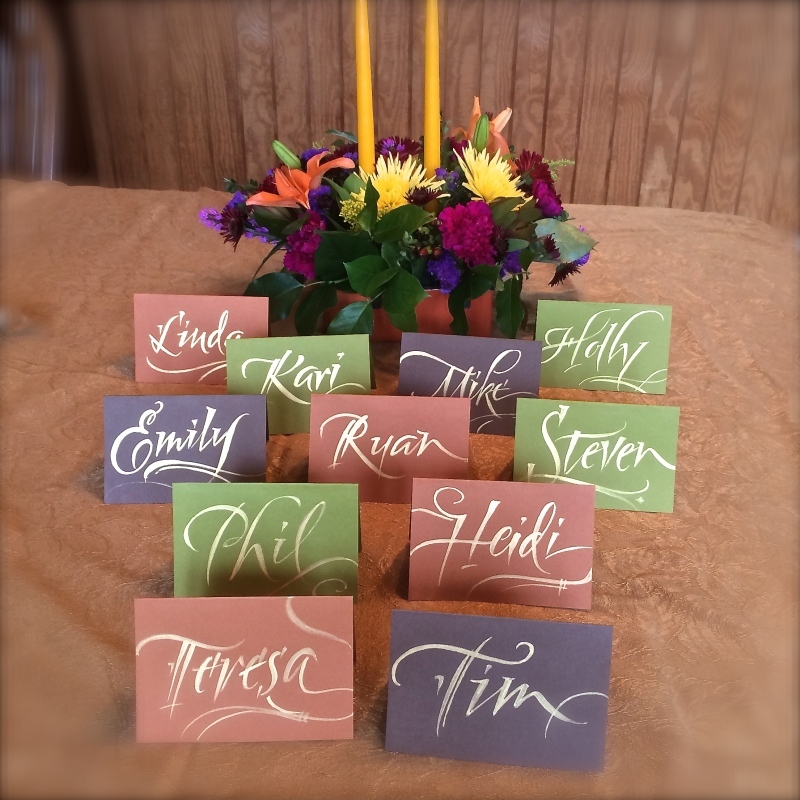 She provides the colored paper and each year, we try to do something different with the placecards. Here is a sample from this year…I used gold gouache applied with a Kolinsky brush #4 round. Freehand! 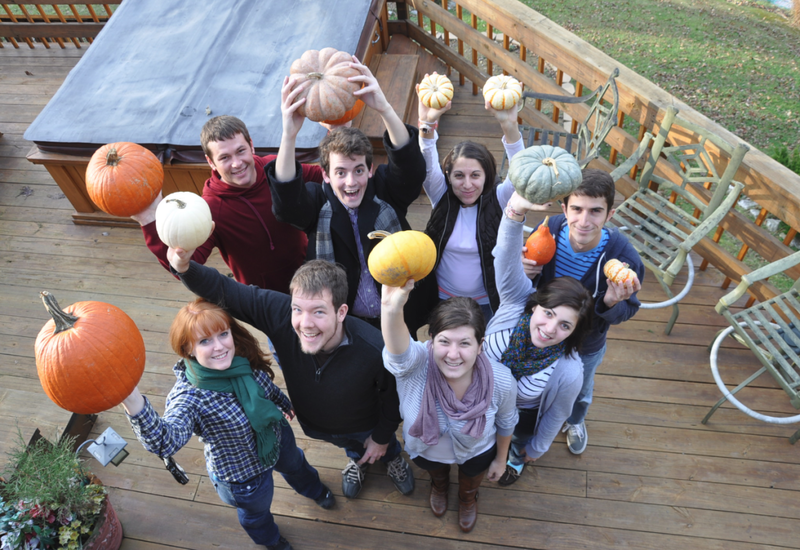 And here is one of my favorite pictures from a past pumpkin toss!